At the onset of fall, the three year old class began learning about different kinds of trees. While walking in the park, they collected leaves that we brought back to the classroom to identify. As Halloween approached, we learned about pumpkins; we cut one open, identified its parts, and roasted its seeds for a crunchy snack! We were sure to set one seed aside to plant outside in the garden. Finally, each child enjoyed making a paper bisection view of a pumpkin to take home. 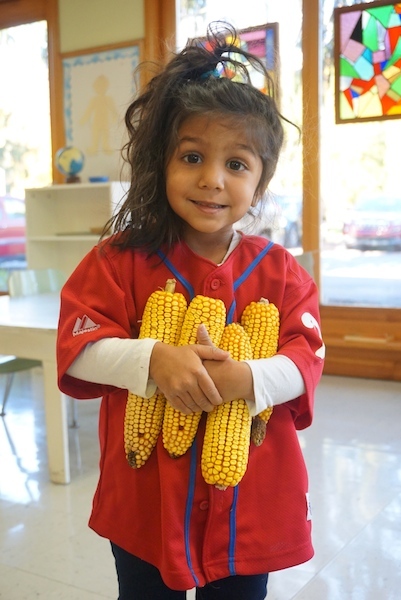 Now that we are approaching Thanksgiving, we will be talking about corn, apples, and potatoes in preparation for our in-class feast. 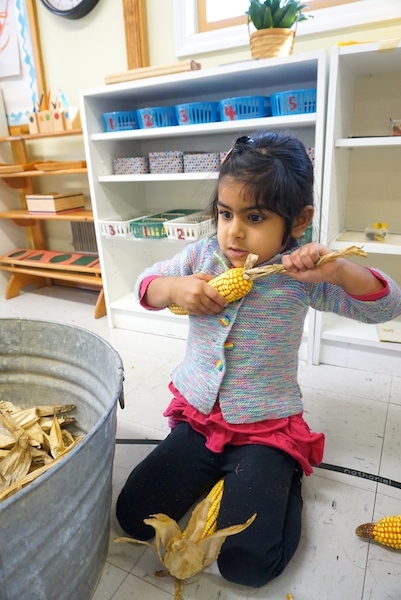 Below are some pictures from last week's corn husking party! 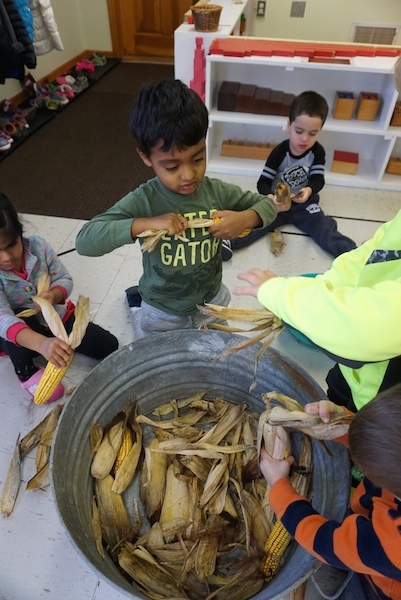 The students separated the husk and the silk from the ear of corn. We'll be using the husk and silk for another art project. After the ears were husked, the children took turns gently removing the kernels with either tweezers, or their fingers. We learned that the kernels are actually the seeds of the corn plant, so we planted a kernel and it's growing!